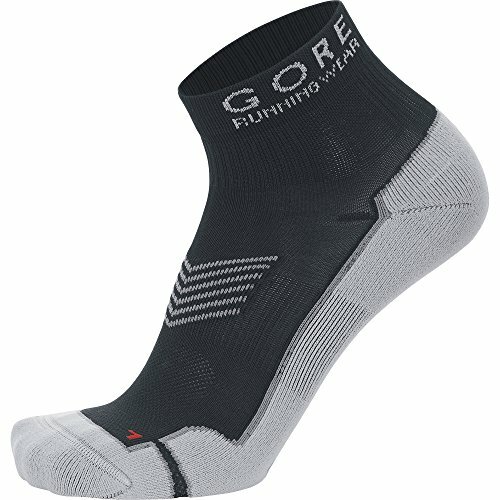 GORE RUNWEAR IMPORTANT MYTHOS RUNNING SOCKS Featuring incredible cooling and venting systems. These socks are incredible for body temperature level management. The human body performs finest at an external temperature level of around 80 ° F. Microfibre is necessary for well balanced temperature level management, as it keeps the temperature level constant. Products made from microfibre are more breathable than natural fibres and have exceptional thermoregulation qualities. Stretchy, fast-drying microfibre garments are resilient, easy to use and easy to care for. 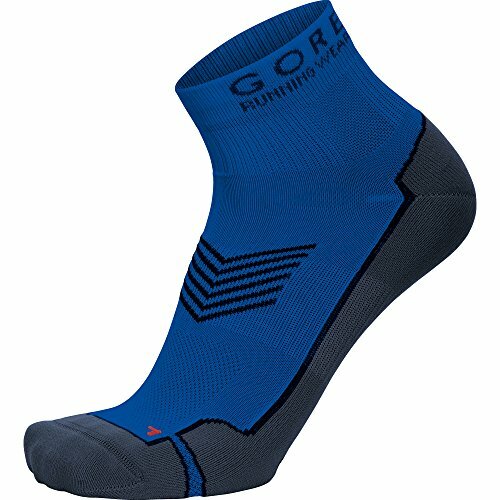 A high tech working sock developed with neon colour and reflectors for fantastic visibility, an ideal sock for the keen runner. Higher top socks with extra padding for weekend leisure and fitness running in varying weather conditions. Also suitable for other sporting activities. Ideal for short distances. Help to keep your feet dry and comfortable. Suitable all year round. Rapid moisture wicking, stretch material, quick drying and breathable thanks to Gore selected fabrics. Comfortable anti stress Lycra ensures minimal pressure at the ankle seam; elastic anti twist fabric provides extra grip; elastic instep counteracts pressure from laces. Comfortable, lightweight mesh fabric; anatomical left/right shaping and multi contact padding support with ventilation zones under the foot. Ultra flat zero friction stitched inside and out. 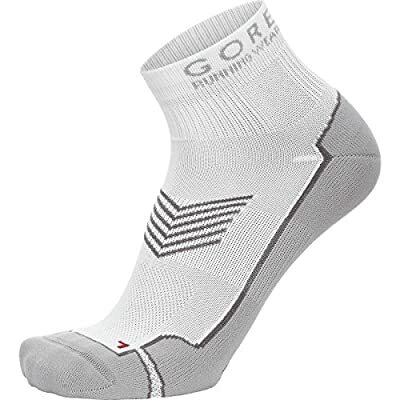 Package contains: 1 pair of Gore Running Wear Essential socks, size: 35-37.